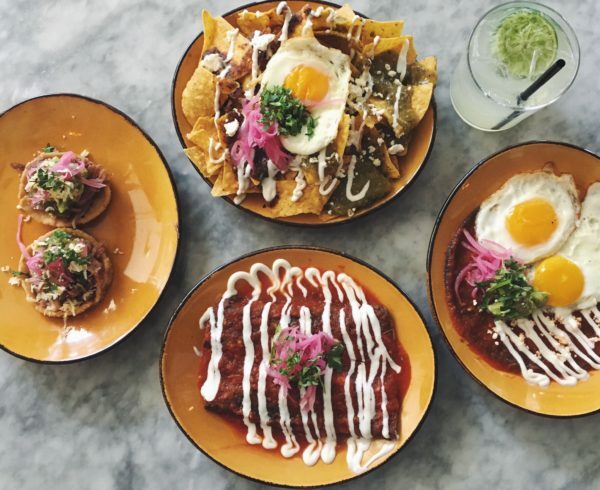 Located in Denver’s beautiful and trendy Larimer Square, Tamayo makes for the perfect dinner spot with a rooftop patio, happy hour specials, and Mexican-inspired entrees that will make you salivate. We started our meal with Tamayo’s famous guacamole after it was highly recommend by our server. 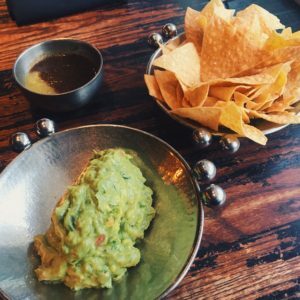 In my humble opinion, this is one of the best guac’s in Denver; I had to force myself to stop eating it so I could save room for the entrees that I knew were coming. 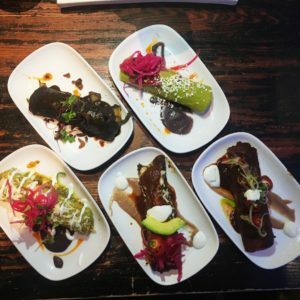 And then came the ENCHILADAS (the main reason we came in)—and even just by looking at them we could tell that these weren’t youe regular, around the way enchiladas; Tamayo’s has taken enchiladas to a whole new, flavorful, and exciting level. Tamayo is hosting an Enchilada festival featuring 5 new enchilada options, inspired by 5 different regions of Mexico, and they are a must-try! 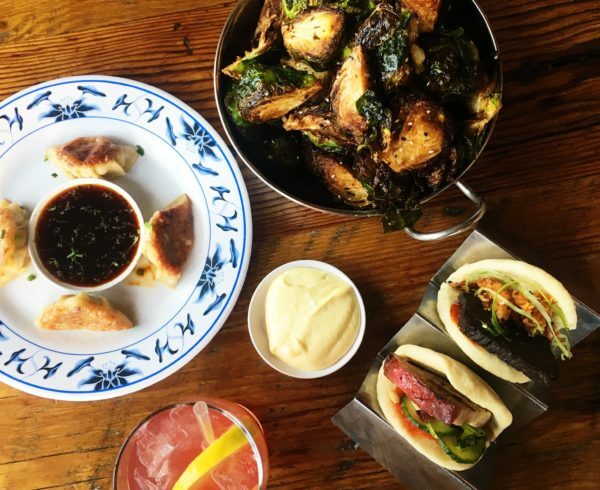 My two favorites (I tried all five, oops) are the “Nortena” which consists of grilled lamb barbacoa and the “Res Con Chilie Morita” which consists of slow cooked short-rib– seriously delicious!!! All the enchiladas have the makings for a perfect Mexican dish, with ingredient combinations including gouda cheese, avocados, queso, and beans and salsa. 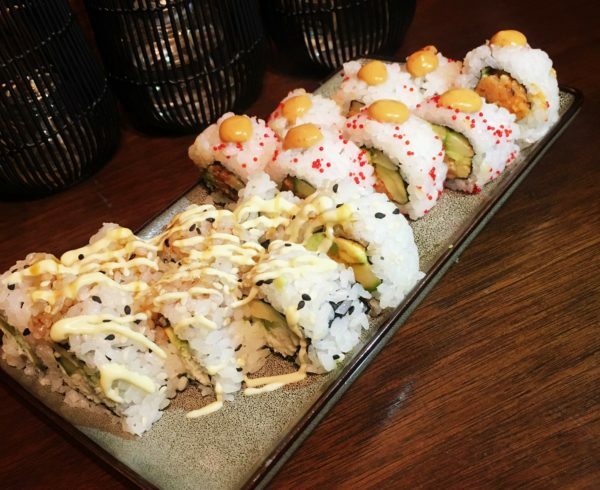 The flavors are rich, and unique and will have your taste buds dancing. But like all good things that must come to an end, the Enchilada festival will only run until April 23rd so get in there to try this menu before its long gone! 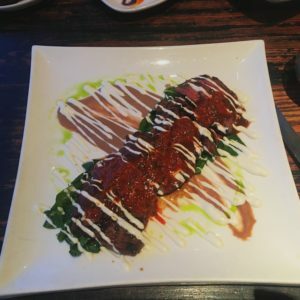 We also tried the Chili & Coffee Rubbed Carne Asada (skirt steak, refried beans, mole, chimichurri), which was cooked to perfection and incredible tasty. I’m a big fan of the charred/smoky taste you get from cooking meat on a grill and this steak had a hint of that as well. Lastly, for dessert, because there is alwaaays room for dessert, we had the Empanadas de Plantano which are banana & Mexican cream turnovers served with coconut ice cream — seriously delicious, and not too sweet. 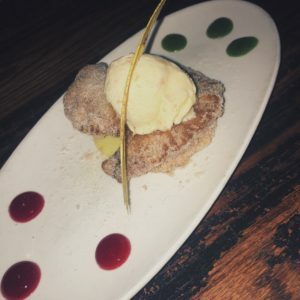 Like in a few of his other restaurants, Chef Sandoval has really created a unique and exciting menu at Tamayo that explores new and innovative approaches to Mexican cuisine and after dining here, you will definitely leave with a whole new appreciation for Mexican eats.